Writing, feel the fear factor. WHY FEELINGS ARE YOUR ENEMY WHEN YOU WRITE. I’m in the middle of reading the wonderful Kristen Lamb’s ‘Are You There, Blog? It’s Me, Writer’ – I also follow her blog. In the first chapter she talks about how our feeeeeeelings can sabotage our writing habit, and she is absolutely right. We’ve all done it, had that extra glass of wine that’s tipped us over the edge and meant we can’t write. Followed by the feeeeeling of guilt we haven’t reached our 3,000 word goal of the day (we wish.) Followed by the feeeeeeling we’re useless, write crap and will never get there. Followed by the feeeeeling to give up. Followed by the … get the picture? Or, we’ve had a domestic with our other half, or our boss is a pain in the ***, or our friends don’t understand that the muse is a fickle beast. Of course, all of these events affect our feeeeeelings and those, in turn, affect our writing. Kristen says ‘feelings can be the enemy and steal your dreams’ I love that statement. Set goals. I should say, set achievable writing goals. Every single day. It might not look a lot, but I’ve learned the hard way to have no more than four things on my list. I don’t know how long it’s going to take to revise that competition entry because of the copious notes I’ve made and I’m not sure if what is in my head will work. Then the planned scenes might not gel, or the characters might – hopefully – grip us by the throat and we end up writing reams of stuff. Isn’t is great when that happens? we’re doing and make a note in our ‘ideas’ book, don’t we? However, that all sounds wonderful and organised, disciplined and writer savvy, right? Well, yeah, but it never ever turns out like that. Why? Well, because we’re not perfect people. 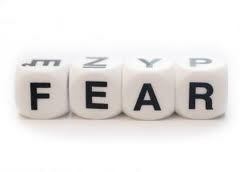 In my opinion, fear is a writers greatest enemy and it takes many forms. Hmm, one of my critique partners accused me of the last one when I edited my voice and joy out of a piece. And she was right. Fear steals our joy of creativity, it throttles it and kills it, if we let it. Seriously, because when we get that sliver, that tickle in our gut then it might mean we’re on to something big. something that could even be the next step to SUCCESS. This entry was posted in blogs and tagged author, blog, blogging, cc mackenzie, clothes, comtemporary romance, cooking, fear, fiction, food, healthy eating, heroines, heros, muffins, romance, vampires, weddings, writer, writing advice by CC MacKenzie. Bookmark the permalink.